At Daytrotter! Four tracks of broken-down. bare bones bliss. So quickly I'm back on my rustic adventures. And next week, they have one of my favorites, all time, Bonnie Prince Billy, "performing one new track, two songs he hasn't played in 12 years, and an old standard done intimately in a mid-evening session." 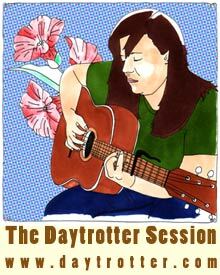 I haven't heard the BPB songs yet, but every track I've downloaded from Daytrotter has yet to disappoint. They have grown into a premire place for exclusive downloads. Check them out if you haven't already. Older PostArt Brut back in the States!